Please allow me to introduce myself. 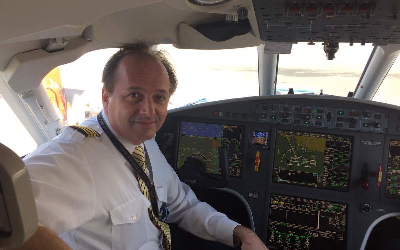 I am an experienced Pilot specializing in the Dassault Falcon 2000 EASyII, Challenger 605/604/601 with FAA, Transport Canada, Isle of Mann and Bermuda Validations. I have provided services to top-level executives for the last 19 years. I have the credentials, training, and professionalism that you and your passengers expect. My philosophy is to serve you as a trusted partner and advocate. You can rely on my operational excellence, wide-ranging expertise and attention to every detail. I work to continuously exceed industry safety standards and maintain my incident/accident- free record within a fiscally responsible environment.